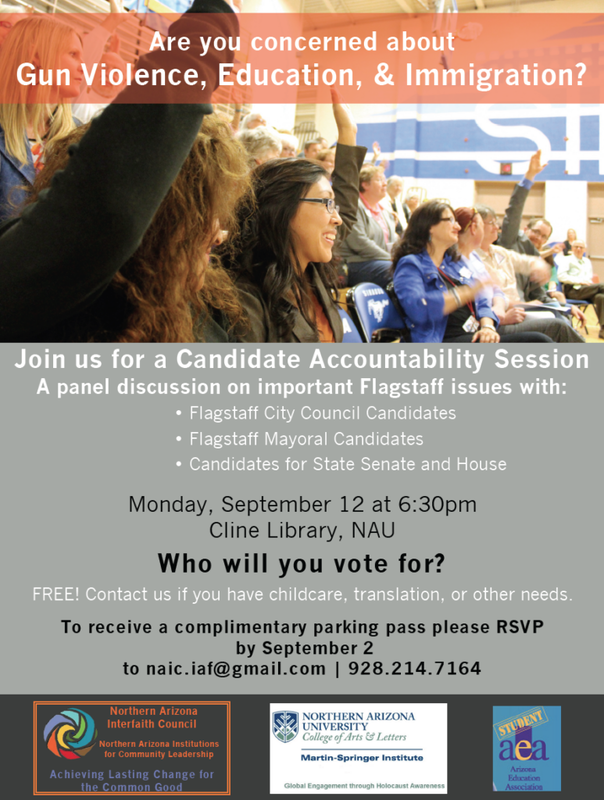 FLAGSTAFF — A “Candidate Accountability Session” will be held at 6:30 p.m. Monday, Sept. 12 at the Cline Library at Northern Arizona University. The event will be presented by the Northern Arizona Interfaith Council, Northern Arizona Institutions for Community Leadership, Northern Arizona University College of Arts & Letters Martin-Springer Institute and the Student Arizona Education Association. To receive a complementary parking pass, RSVP by Sept. 2 to naif.iaf@gmail.com or call 928-214-7164.